George Adams Henry was born on 23 May 1894 at Cloghog, Cookstown, County Londonderry, the youngest of six children of farmer William James Henry and his wife Jane (nee Irvine). Henry enlisted in the North Irish Horse at Cookstown between 23 February and 19 March 1912 (No.683). He embarked for France with C Squadron on 20 August 1914, seeing action in the retreat from Mons and advance to the Aisne. Driver W. J. Arbuthnott, of the North Irish Horse, son of Mr. W. J. Arbuthnott, Drumbonaway, writing to a friend says:--"... I have come through a few battles safely. All the rest of the boys are well and doing good work at the front, especially the Cookstown chaps. We are very well looked after with food and clothes, and we never want for anything, and not one of the Cookstown party of the North Irish Horse has got a wound, though all have shown up bravely at the post of duty. Sergeant Ashcroft, John Maxwell, Samuel Espey, Willie Crooks, Willie Anderson, George Henry, and Albert James McKenna, are the Cookstown fellows in the same troop as me. R. Averall, 485; H. Bradley, 978; Corporal S. Brown, 583. In August 1917 the 2nd North Irish Horse Regiment, of which C Squadron was a part, was dismounted and most of its officers and men transferred to the infantry. After a few weeks training, on 20 September most were posted to the 9th (Service) Battalion, Royal Irish Fusiliers, subsequently named the 9th (North Irish Horse) Battalion. Henry was issued a new number – 41401 – and posted to C Company. Henry saw action with his battalion in the Battle of Cambrai in November and December 1917. On 16 December he took part in a successful raid on an enemy outpost south of Marcoing, led by Lieutenant G.W. Vesey. Vesey was later awarded a Military Cross for his part in the raid, while Henry and one other were awarded Military Medals. 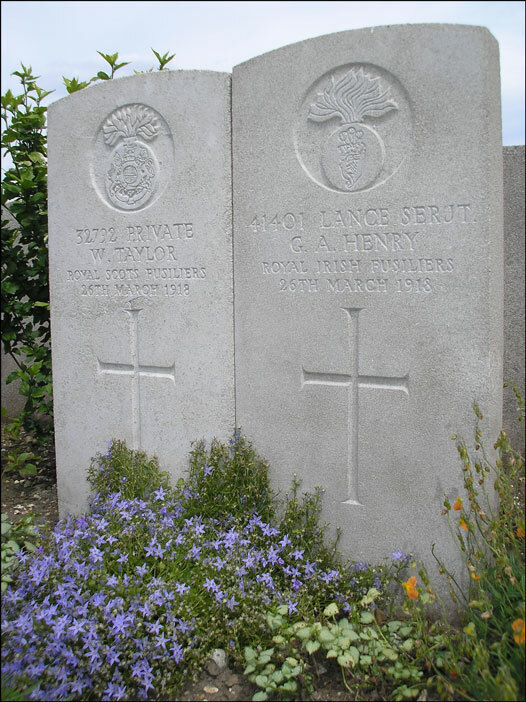 On the evening of 14 March 1918 as the battalion moved into reserve trenches at Grand Seraucourt, Henry was severely wounded. 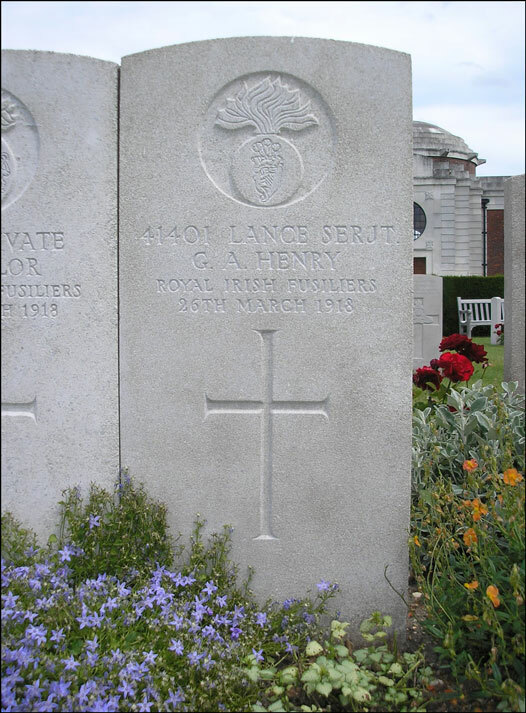 Evacuated to the Australian General Hospital at Rouen, he died twelve days later. Gravestone images kindly provided by ponte fractus. 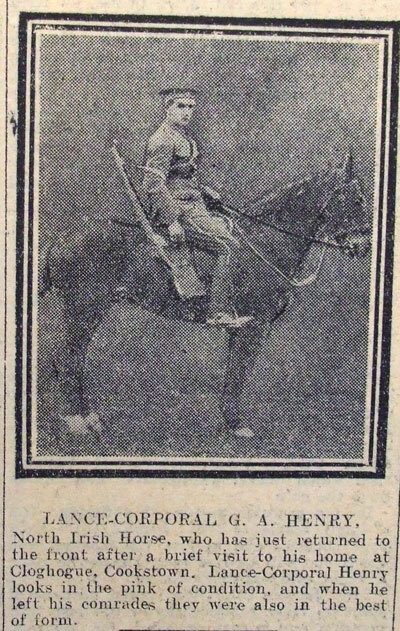 Mounted image, from Belfast Evening Telegraph, kindly provided by Nigel Henderson, Researcher at History Hub Ulster (www.greatwarbelfastclippings.com). 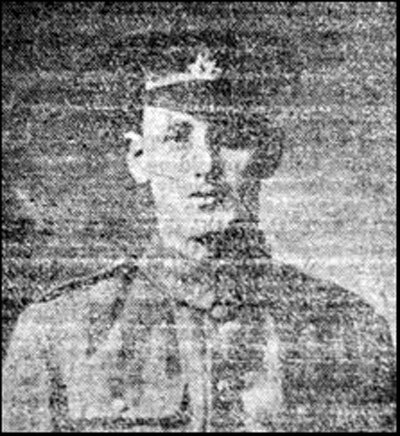 The first image of Henry and the letter to the Mid Ulster Mail is sourced from Friends of the Somme, Mid Ulster Branch, www.cookstownwardead.co.uk.